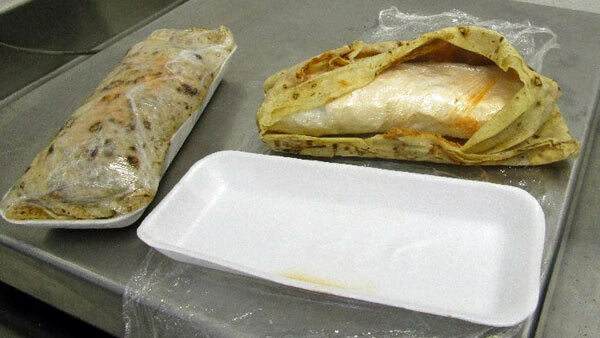 NOGALES, AZ -- Customs and Border Protection officers said they arrested an Arizona woman who attempted to smuggle meth hidden inside a burrito. Officers said a drug-sniffing dog led officers to uncover more than a pound of meth carried by a 23-year-old woman at the Port of Nogales. The drugs, worth more than $3,000, were disguised as a bag of burritos. Officers seized the drugs and turned the woman over to U.S. Immigration and Customs Enforcement's Homeland Security Investigations. So far, charges have not been filed.